Geopark Kielce comprises an active network of geotourist and educational facilities, situated within the geological reserves of Wietrznia, Kadzielnia and Ślichowice. The Wietrznia Nature Reserve, named after Zbigniew Rubinowski, covers several inactive mining pits, which have remained after Devonian limestone and dolomite extraction. The Reserve, whose area spans 17.95 ha, was established in 1999 to protect the scientifically and educationally valuable profiles of these rocks. A new chapter in the history of this appealing area’s development began with its integration into the Geopark Kielce grounds. The implementation of several key capital projects, such as the construction of educational paths or making Wietrznia part of The Świętokrzyskie Archeo-Geological Route, and resulting construction of the Centre of Geoeducation have made this venue one of the region’s major geotourist highlights. The Centre of Geoeducation in Kielce is a modern facility, built by Geopark Kielce as a key investment task under the Świętokrzyskie Archeo-Geological Route Project. The beneficiary of this innovative partner project has been the Municipality of Kielce. The project has been co-financed from the European Economic Development Fund, Action 6.4 of the Innovative Economy Operational Programme. The Centre of Geoeducation is a remarkable geotourist facility: this is where, through adventure and play, one can learn about the history of the Earth, written in the rocks. 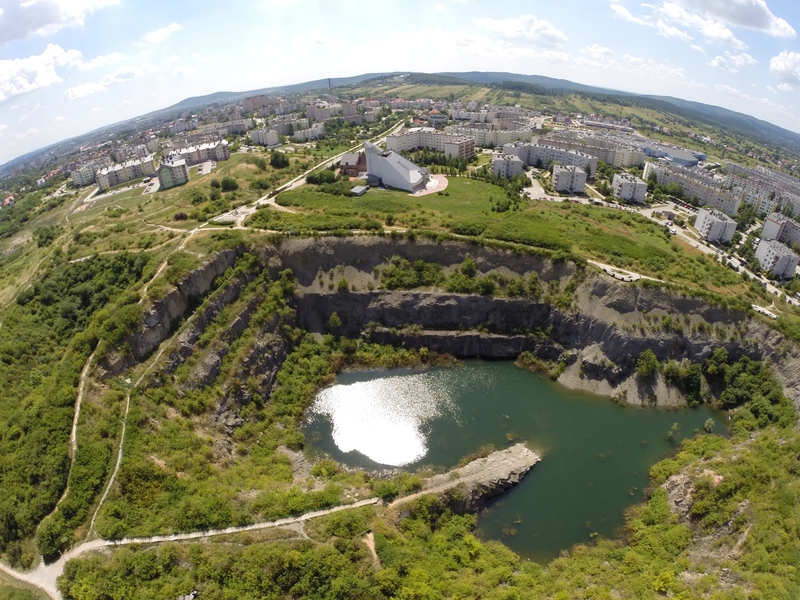 The Kadzielnia Reserve, with the most recognisable sight, clearly visible from the Kraków road, is the peak of a hill (295m above sea level) – a monadnock called Geologists’ Rock, surrounded by a former mining pit, now partly filled with water. The Kadzielnia Reserve was established in 1962 for the protection of valuable Devonian rocks profiles, containing evidence of interesting geological phenomena. This is a unique stand, with numerous fossils and karst forms (including caves). 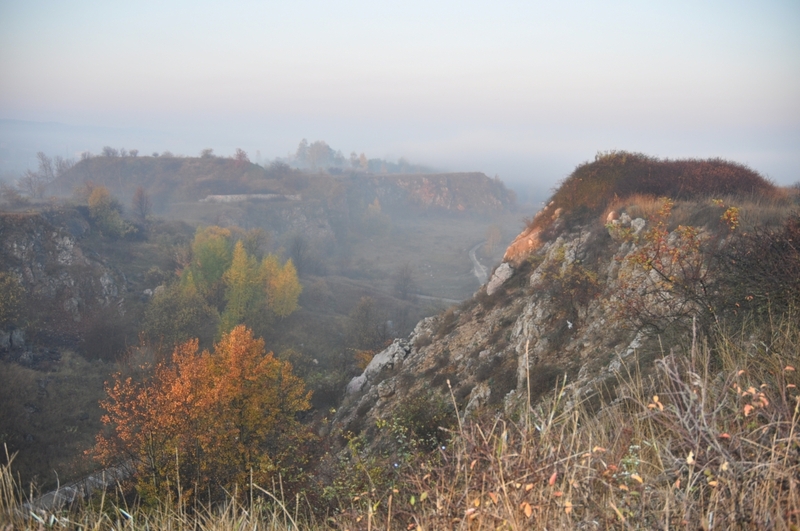 As for the latter, Kadzielnia is at the head of the league: within the entire quarry, as many as twenty-five caves have been identified until today. The flagship of Kadzielnia is Poland’s most scenic amphitheatre – the Kadzielnia Amphitheatre, known as the Rocky Amphitheatre for good reason. It was constructed in 1971 at one of the levels of the former mining pit. The facility was given a new shape and character upon modernisation, completed in 2010. Cradled in the stony walls of the quarry, it has become an inseperable part of the landscape. The Jan Czarnocki Rock Reserve Ślichowice is an amazing place, references to which are found in almost all geology textbooks: this is where the forces which act on the rocks from within the Earth are best observed. The rock wall, featuring textbook examples of tectonic folds, was to be under legal protection as early as the interwar period. The year 1949 saw the foundation of one of Poland’s first monuments of inanimate nature; the year 1952 brought the establishment of Poland’s first ever reserve of inanimate nature: the Jan Czarnocki Rock Reserve. Mining operations, conducted beyond reserve limits until 1970, led to exposition of the interior of the former Śluchowica Mt. in the rock pillar between two pits, with exceptionally preserved cross-sections of folded layers of upper-Devonian limestone. The steep rock walls with tectonic folds can be viewed from vantage points located on the tourist path encircling the pits. 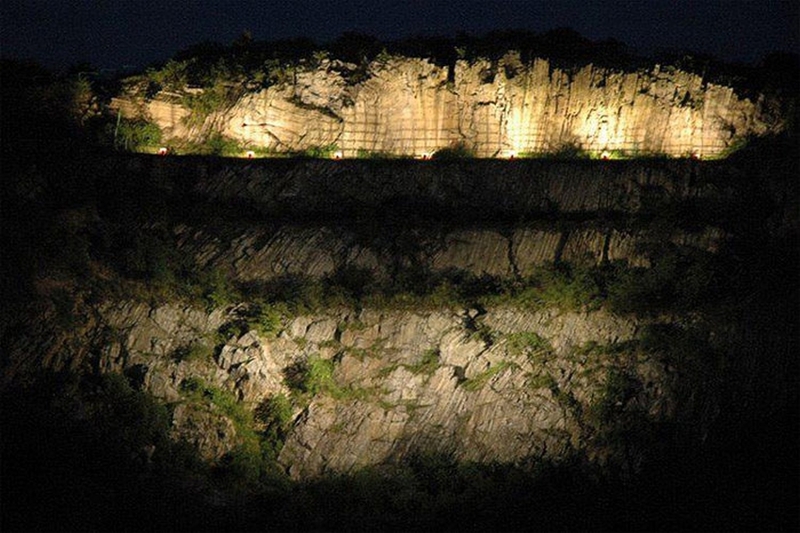 Ślichowice is also Poland’s only site where illumination of a tectonic fold can be enjoyed.